Geist! 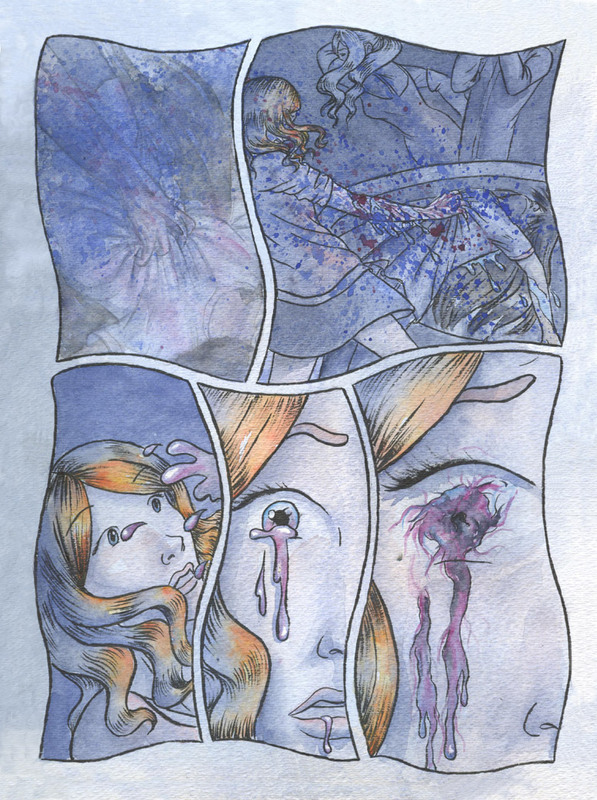 Page 67 – Geist! This page was a real challenge to do, but I think it worked out okay. Panel 2 is one of my favourites. I really really like panel one. Not to say i dislike the rest, but I think it’s great. Thanks! I was a bit unsure about how it came out, so that’s really nice to hear! That’s cleared my thoughts. Thanks for ctonriubting. I hate to admit it, but those last three panels made me slap my hands over my right eye. I love the way you demonstrate the corruption of her face as that fluid flows down. Ooh, sorry, eye things are horrible! Yikes! That looks so cool, and her scaring makes so much sense now that I know it came from some form of liquid.